A motorcyclist recklessly performing donuts along West San Carlos Street in San Jose was killed in a crash Tuesday evening, police said Wednesday. The driver was identified as 48-year-old Guy Perry, according to the Santa Clara County medical examiner's office. 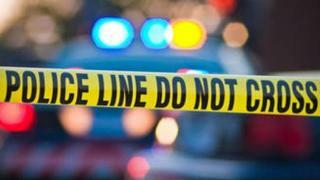 Officers responded to a report of a motorcycle crash on Laswell Avenue and West San Carlos Street, a block east from Bascom Avenue, around 5:30 p.m., police said. Arriving officers found the motorcyclist, later identified as Perry, who was transported to a hospital, where he succumbed to his injuries, police said. An initial investigation showed the motorcyclist wasn't wearing a helmet while recklessly doing donuts on the roadway and spinning his rear tire, according to police. The motorcyclist lost control of the bike, was thrown off and landed on a curb, police said. The incident was the 35th fatal crash on city streets this year, according to police. Anyone with information on the case is asked to call police Detective Kevin McMillin at (408) 277-4654.